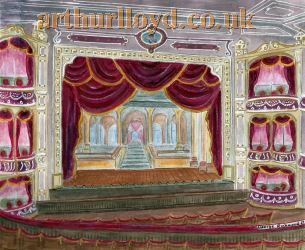 The Paintings on this page were all produced by George Richmond especially for this site. 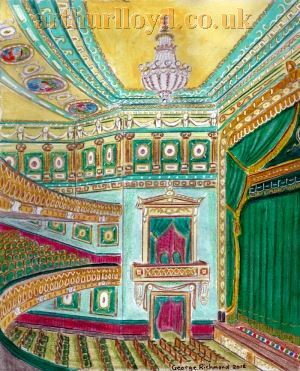 Some of them were created from images in the book 'Red Plush and Gilt' by Joyce Knowlson, others were created using images from this site as inspiration. 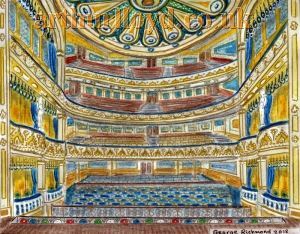 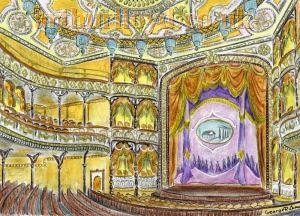 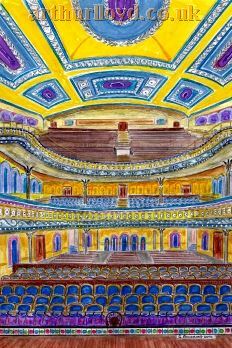 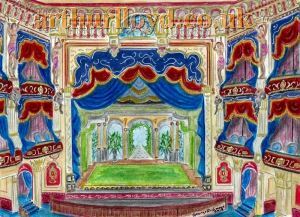 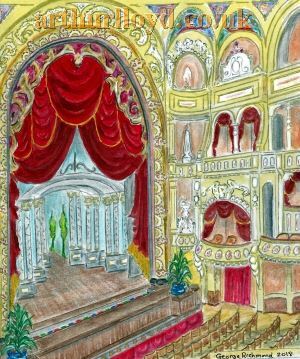 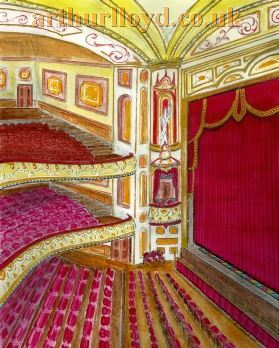 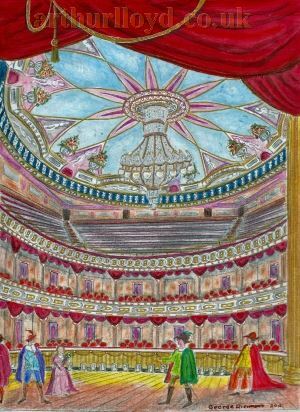 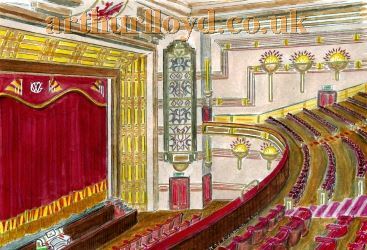 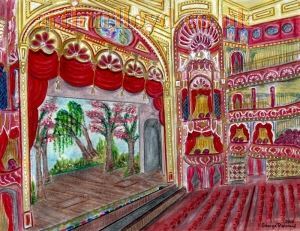 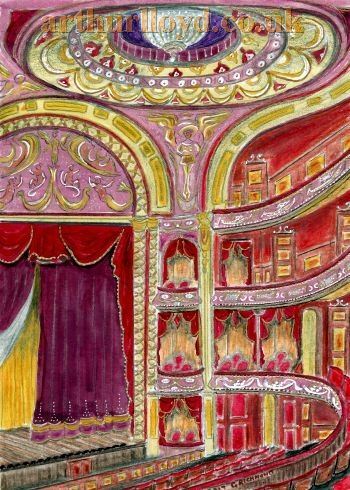 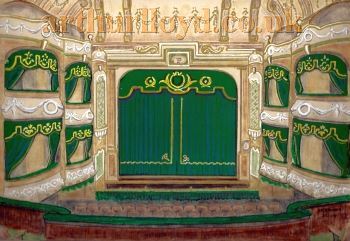 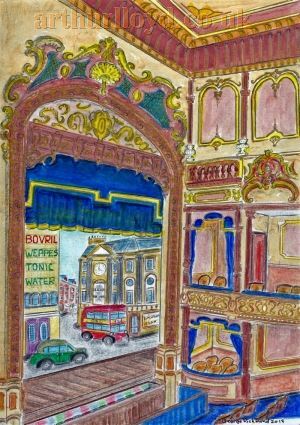 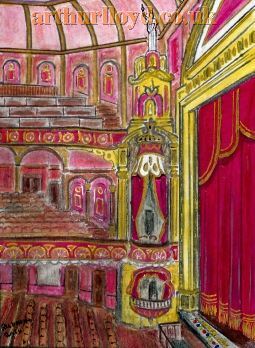 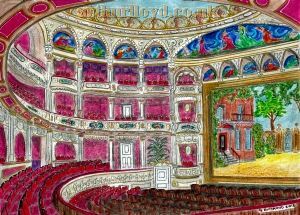 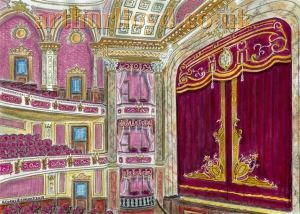 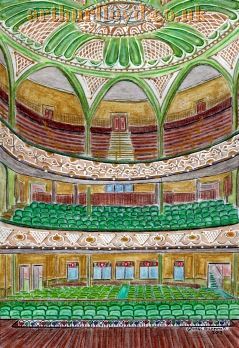 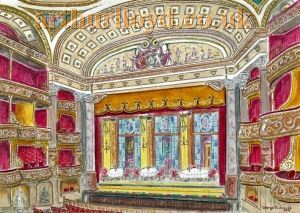 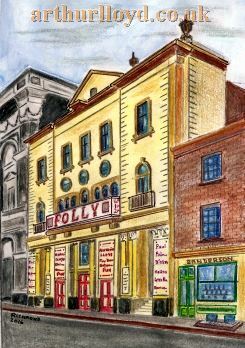 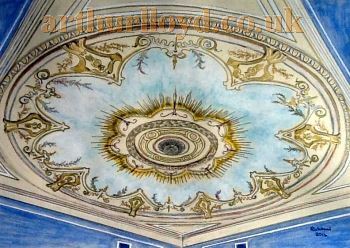 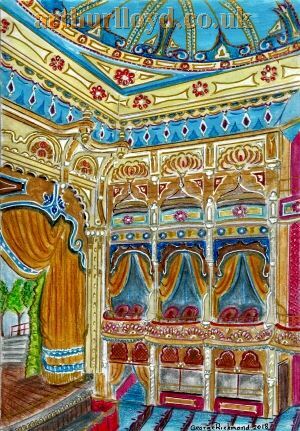 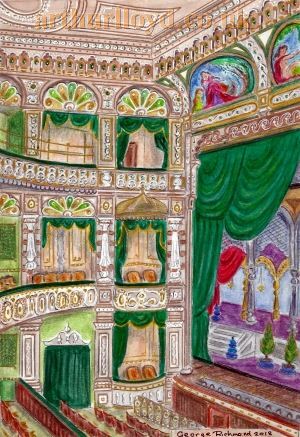 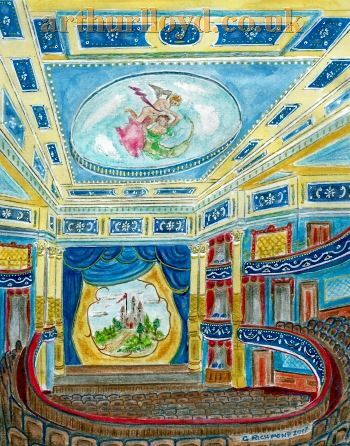 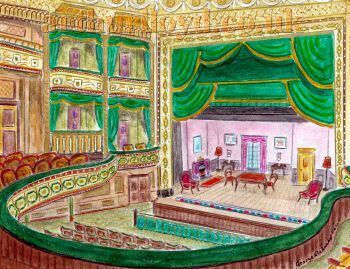 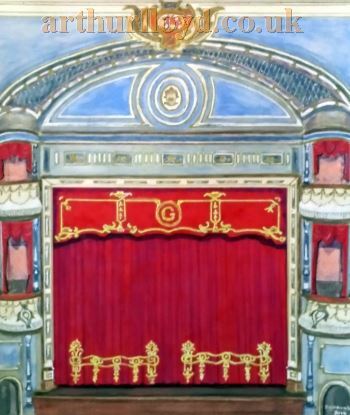 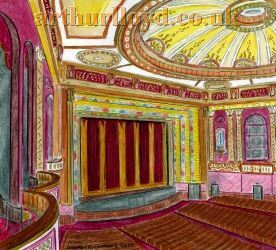 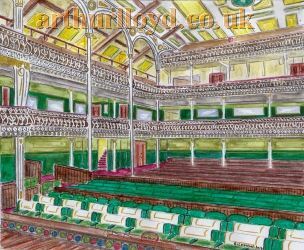 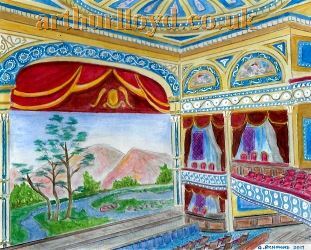 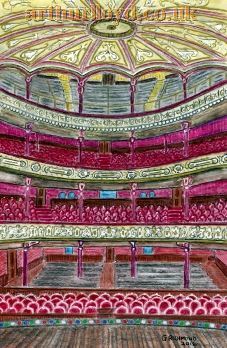 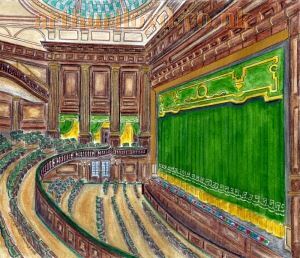 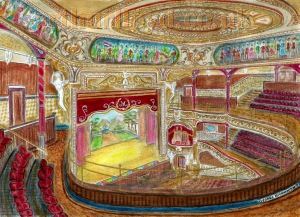 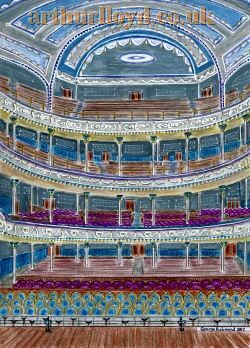 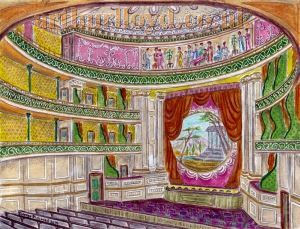 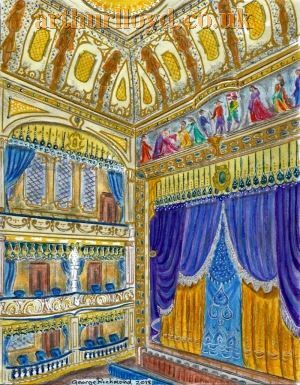 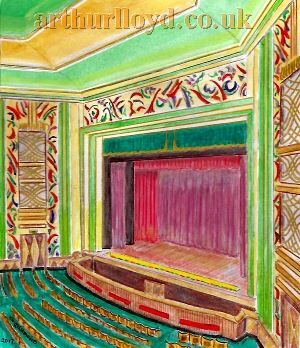 Colours for the paintings were gleaned from the site's articles, especially the many build reports from the ERA Newspaper which often described newly built Theatres in great detail. 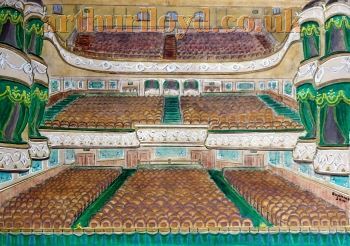 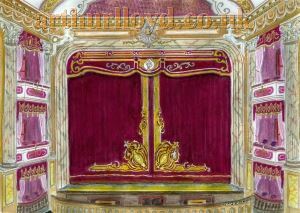 To see the paintings enlarged, and in context, click the images or the Theatre Links below each painting. 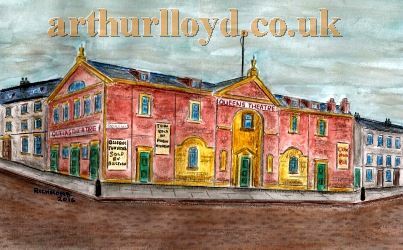 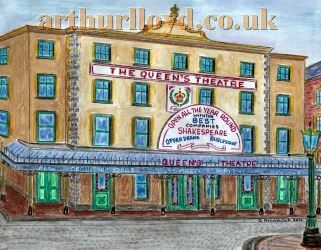 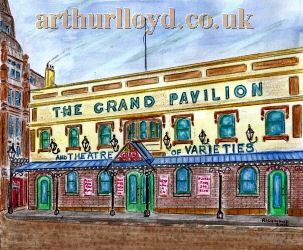 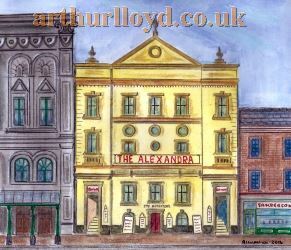 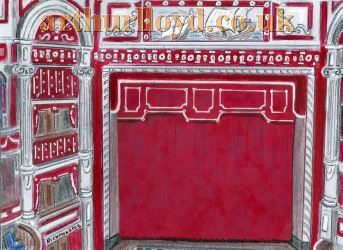 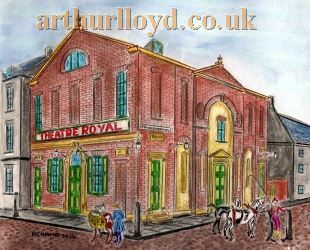 George has also written many articles, supplied images, and created sketches for many of the Wigan, Llandudno, Leigh, Manchester, Southport, and Ormskirk Theatre pages on this site. 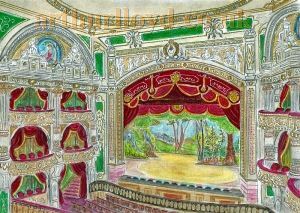 The Paintings on this page were all produced by George Richmond especially for this site and are © Copyright George Richmond 2019. 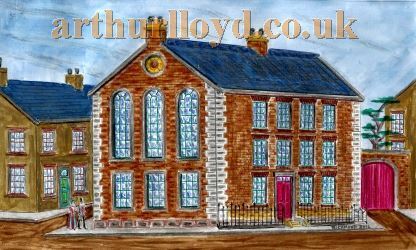 The images and their enlargements may not be reproduced anywhere, including online, without the express permission of George Richmond and Matthew Lloyd at www.arthurlloyd.co.uk.